According to the late historian, Frederick Morrell, the Royal Oak probably dates back to the 17th century. There is a date stone on the Bridge Street frontage which reads: “Royal Oak c1651.” It was originally of three storeys, whereas today it is of two. The ground floor windows are larger than the old ones which consisted of small panes and outside wooden shutters. The main entrance to the property today is on Clapgate but originally it was the doorway on the Bridge Street side. When the interior alterations were made, additional buildings were added, one of which included the smoke room. The walls are some two to three feet in thickness. A building opposite was used as stabling but was demolished in the 1920’s, therefore widening the road and making way for two new shops. The Royal Oak in 1818 was described as being in Northgate, the earlier name for Bridge Street, and the innkeeper was Thomas Ingle. There were many more landlords after that, i.e. Mary Ingle who succeeded her father, William Fielding, Martin Stennett, James Watson, Harry Dawson, Johnson Unwin, Ben Rollison, Joseph Nunns, Zachariah McLelland, David Armitage, Robert Stannard, Henry Robinson, Elizabeth Roundell, Frederick W. Perkins, George Bates and Harry Waites. Though not possessing an inn sign, acorns and oak leaves may be seen above the entrance; the same symbols of the Royal Oak being embodied in stained glass windows. 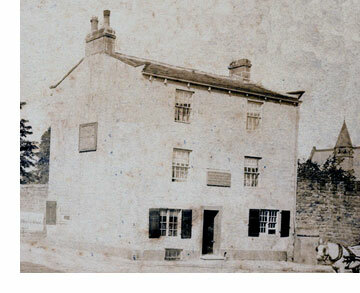 In 1929, Bentley Yorkshire Breweries owned the property. It closed as an Inn c1971 and after being closed for several months, proposals to convert the Royal Oak Hotel into offices for Barret Chamberlain & McDonnell, solicitors, were put forward which were approved by the Development Committee of Otley Council. Because it was a listed building, any changes made had to have planning consent. In 2012 the property is occupied by Savage Crangle, solicitors.